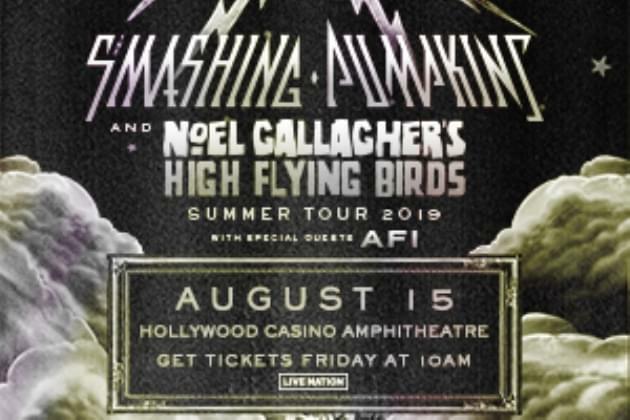 Listen & Win more amazing summer concert tickets this week on The X, up for grabs, Smashing Pumpkins with Noel Gallagher’s High Flying Birds at the Hollywood Casino Amphitheatre in Chicago August 15th. Simple tune in this week (April 8th-the 125th) during our Listen & Win ticket window hours, 8am and 4pm. Listen for Bahan in the Morning X and Anna Kinkade afternoons to open the ticket window, once open if you can be caller X you score a free pair of tickets to the show. Yes, it really is THAT easy. Tickets are also on sale now for this show, get them HERE.